The eye is been described as the window to the whole body and after the gift of life the next best thing to have happened to man is the gift of sight. Today I want to share some facts about glaucoma and enlightened you on the need for proper assessment and management. I will try and keep it easy to understand without too much medical jargon. I will be talking mainly about the common type of glaucoma which is called the Primary Open Angle Glaucoma (POAG). 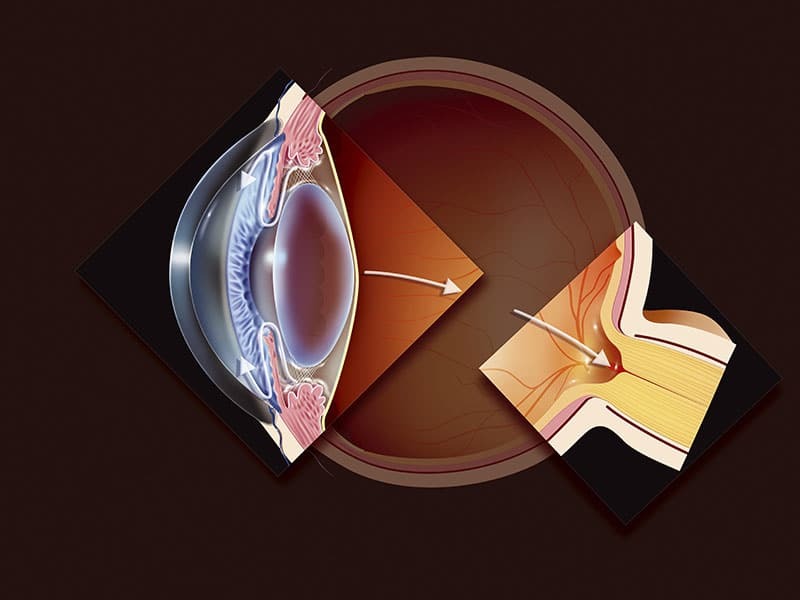 Glaucoma is one of the leading causes of blindness in the world today. Glaucoma is not just a particular eye disease, it more like a group of diseases combining together and presenting some particular type of symptoms and clinical features which are reduced visual field, optic disc and characterized by increased intraocular pressure (IOP). Consider it more like a ‘’high pressure in the eye’’. The normal pressure ranges from 10 mmHg to 21 mmHg. In Glaucoma, it could get to as high as 50mmHg or more. Let me break that down and explain. Imagine for a while that the eye is a football but with nerve connections to the brain for you to see, and have been inflated to the right proportion. Everything will look great and you will have no problem. But imagine again that we continue to inflate the ball with more air, what happened? Those wire connections will become damaged and therefore the brain will no longer be able to help that eye to see. How do you know if you have glaucoma or not? This is the trickiest part of this ‘disease’. Glaucoma does NOT present with symptoms. Like the topic says, it’s a silent thief of sight. There are no pain, no redness in the eye, no discharge, no associated headaches and no itching. The sufferer will not know about the condition until it’s usually too late. As a Doctor of Optometrist, I have seen a trend where most patients present with advanced stage of glaucoma where there is little that can be done. Most of those that present early are usually discovered during routine examination for other eye conditions. Glaucoma is usually diagnosed through series of tests that can be done either by an Optometrist or an Ophthalmologist. They will do an internal eye examination; check your visual field and most importantly, carry out an intraocular pressure test. The first thing you must know about glaucoma management is the fact that it CANNOT BE CURED. Yea, I know that sound a bit frightful but that’s the truth. It can only be effectively managed and that is why early detection is the key to saving your eye if you have glaucoma. These drugs help to lower the pressure in the eye. One important thing to note is that these drugs are taken for life. Like I said before Glaucoma cannot be cure only managed. First, if anyone in your family has had glaucoma before, go and get your eye examined. Always have routine eye check at least once in two years. Avoid using steroidal drugs except when prescribed by a doctor. If you are a myopic patient, then ensure that you do a routine IOP test. I hope this tips will help. We would like to hear your questions and comments. How to Grow a Healthy Relationship with Your Significant Other?